Collaboration is at the heart of this celebratory publication for those who contributed to the Create the Change campaign. 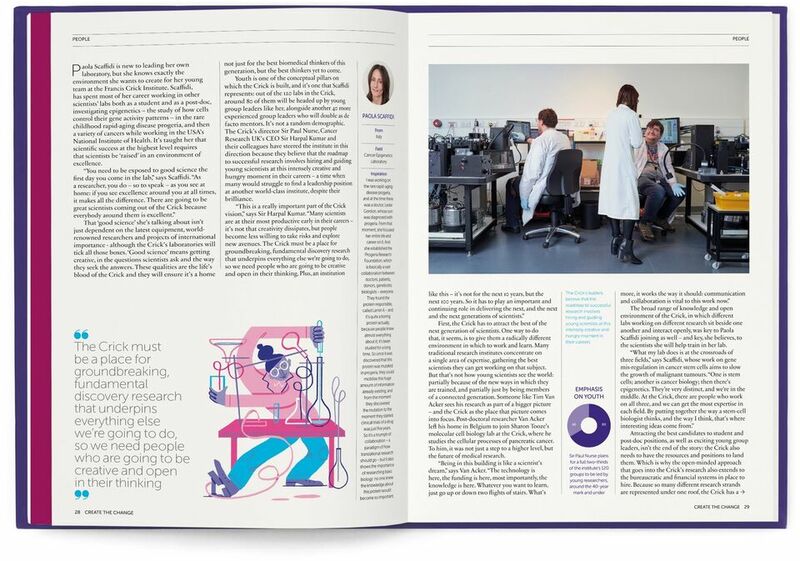 In 2012, Cancer Research UK took on its most ambitious fundraising challenge yet: to raise £100 million entirely through philanthropic donations. 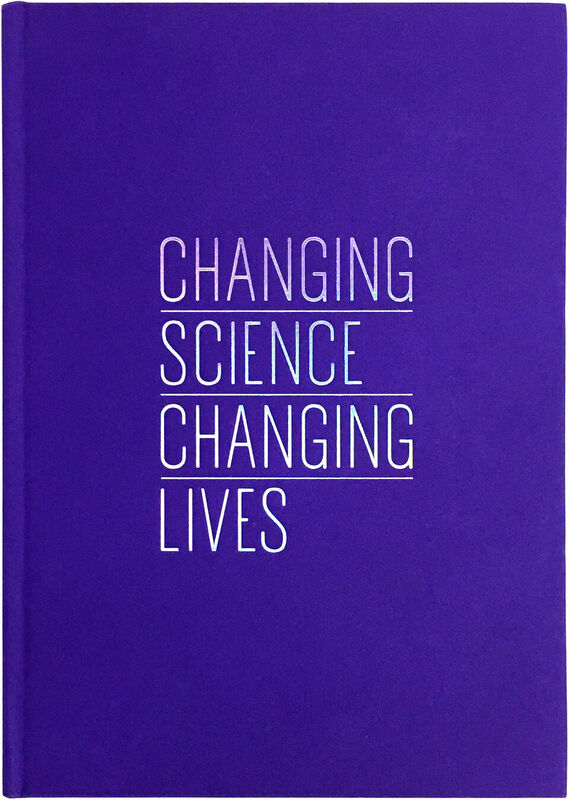 The campaign was entitled Create The Change, because its purpose was to fund the building of a facility that would break the mould for scientific enquiry, and transform outcomes for cancer patients across the world. Four years later, the success of this campaign has helped establish one of the world’s leading biomedical research institutes: the Francis Crick Institute. 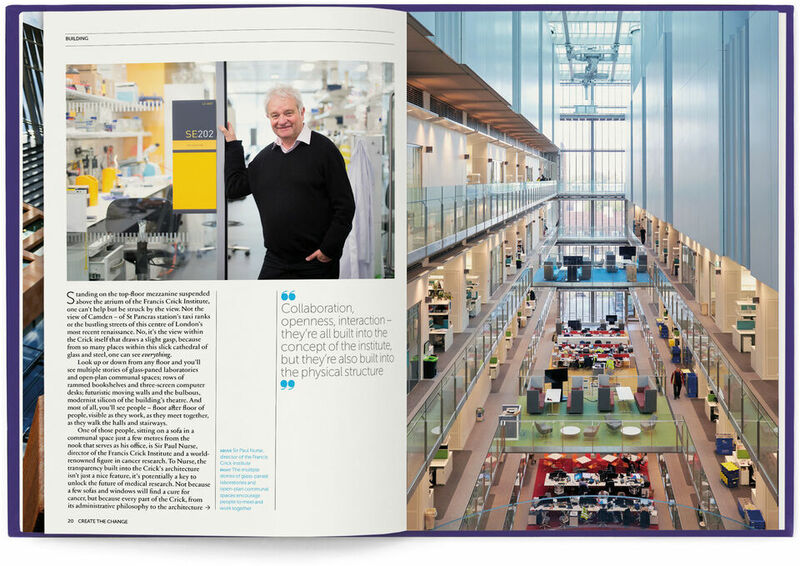 Under Director Sir Paul Nurse, 1,500 talented scientists representing a vast spectrum of disciplines will collaborate at the Crick on the study and treatment of the world’s major diseases, including cancer, Alzheimer’s, Parkinson’s, heart disease, stroke, diabetes and infectious diseases such as HIV and malaria. Collaboration is at the heart of both the building and the campaign. The institute is a visionary collaboration between six of the world’s leading medical research organisations: Cancer Research UK, The Medical Research Council, The Wellcome, University College London, King’s College London and Imperial College London. £100 million of Cancer Research UK’s £160 million contribution was raised through philanthropic donations, and was the only funding of the Crick’s £650 million cost to be raised in this way. 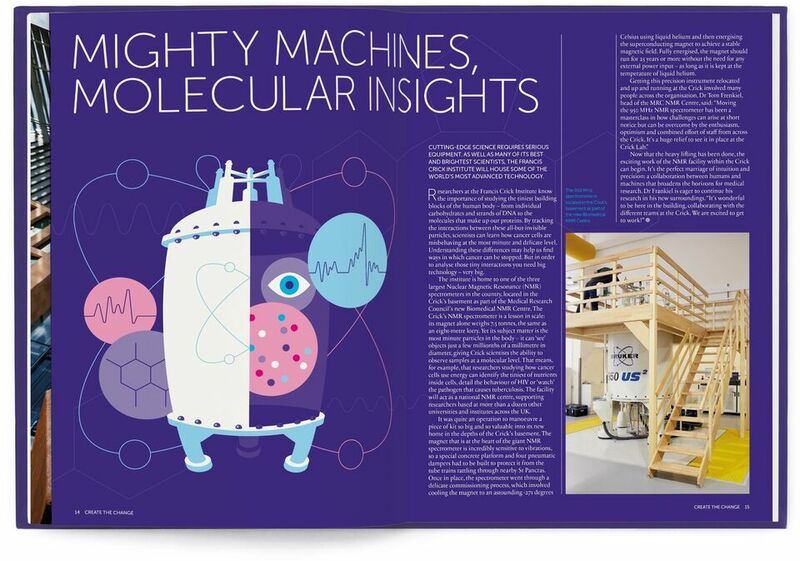 We worked with Cancer Research UK to create a celebratory publication thanking their donors for this achievement, and to commemorate the official opening of the Crick. 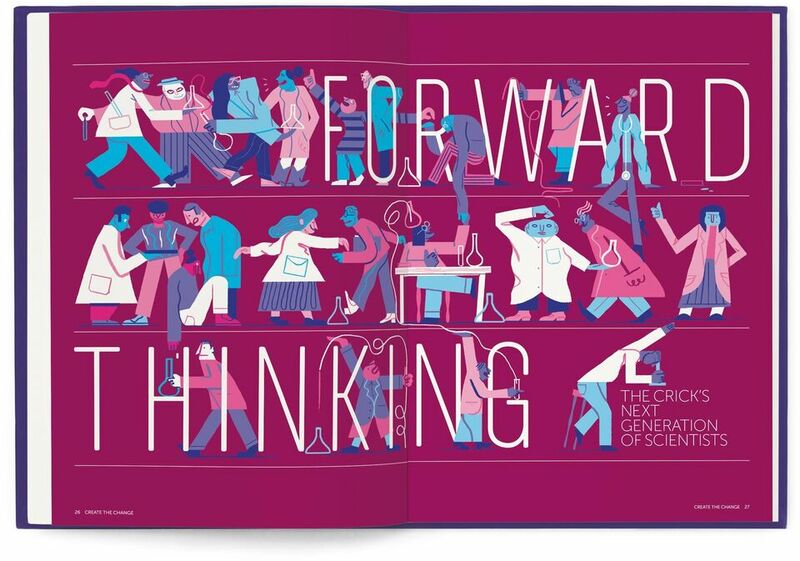 Holographic foiling on the cover reflected the idea of change. In keeping with the editorial feel, we creating a bespoke condensed version of CRUK’s signature font, Museo Rounded. This served two purposes: to distinguish the longer features from the front section articles, and also to help differentiate the look of the publication from more corporate documents. 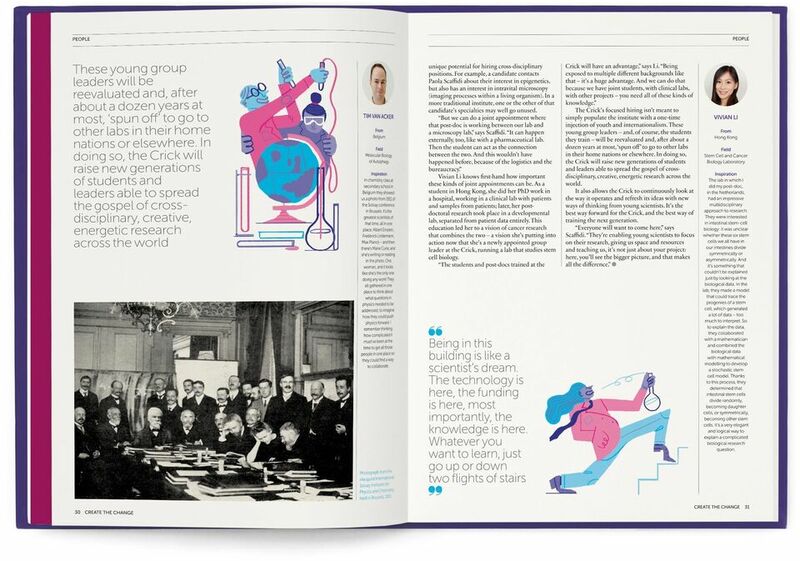 We worked with illustrator Alec Doherty for a feature highlighting some of the Crick’s younger scientists. His energetic and colourful style was a perfect fit for the subject matter. From initial content creation, through to design and production, William Joseph worked closely with us throughout the process – understanding and interpreting our brief and working with our limitations without compromising quality. It was a pleasure working with them and everyone here was thrilled with the result.